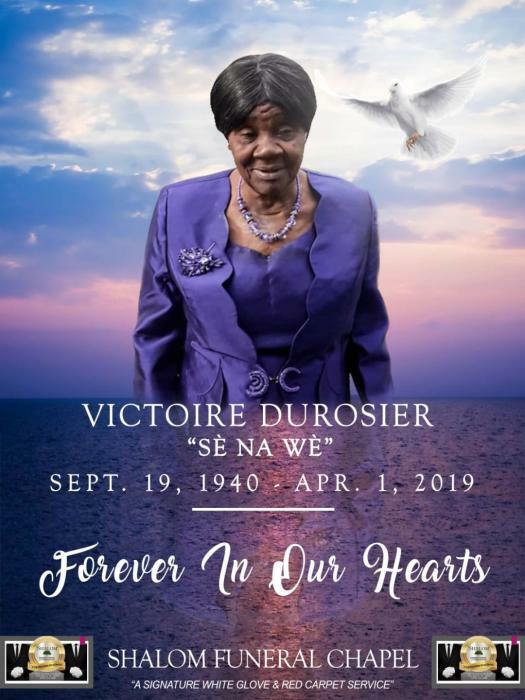 AGED 78, WHO WENT TO BE WITH THE LORD ON MONDAY APRIL 1st 2019 IN NORTH MIAMI. FRIDAY APRIL 26, 2019 7:00 - 9:00 P.M. FINAL VIEWING: 10:00 A.M. SERVICE: 11:00 A.M. There's still time to send flowers to the Viewing at the HOPE CHURCH OF THE NAZARENE from 7:00 PM to 9:00 PM on April 26, 2019.